By the end of the month I will be in Peru… some place I thought was really neat but not really a place I thought I would travel to… I didn’t really have a conscious intention of going there… Peru was nice… but I always wanted to go to Egypt! When I first saw the trip itinerary, I thought it looked like a great experience… not really on my plate of possibilities considering I am heading back to Hawaii for more Huna training in March. But it kept coming back to me… Even the organizer, Paul Beshara, called me personally to see if I was interested in going – he must have known something I didn’t at the time! When my husband saw the trip, he commented that if he were me, he would go… After all, being self employed, it’s not like I can’t get the time off work. From my point of view, being self employed and not having that steady paycheque to rely on was a different perspective than he had! It is a considerable expense considering I’ll be traveling again in a few months. And so we both did a little internal shifting, expanded our ‘box’ and came to the place where we could both go. When I called Natural Presence to commit to the trip, Peru started calling me… Immediately I became excited, and that excitement grew and grew. I don’t know where it came from or exactly what it was about… but I could hardly fall sleep that night. 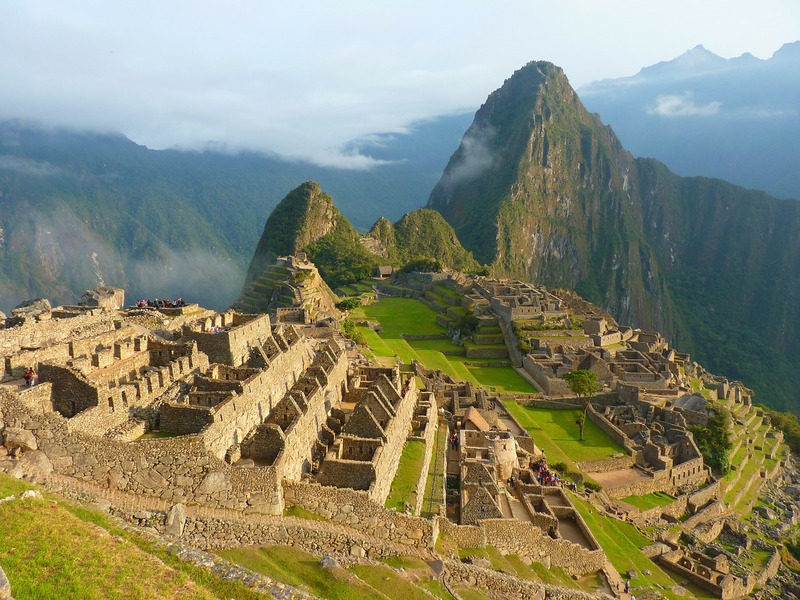 My energy felt so expansive.. like I was already in Peru… at one of the sacred sites I would be visiting. I suspect my unconscious mind was aware there would be some changes for me, perhaps showing a bit of resistance. I had some clearing work to do! Good thing I have some excellent tools to move this energy. What’s all this got to do with TRUST? Everything! Underneath it all… it’s really about trusting the Universe, being willing to be in the flow, not to mention trusting yourself and the decisions you make. Having faith is very different than having hope. Think of faith as believing that things will work out; whereas hope implies the desire for something with an underlying uncertainty or fear that it may not turn out the way you would like. Faith becomes knowing, and that is a much more empowered place to live. Which side of the belief fence do you sit on? Hope or faith?